Royalty free editorial images. No model or property release available. These images can be used to illustrate truthful articles or broadcasts appearing in magazines, newspapers or any other editorial context, in either printed or electronic media. 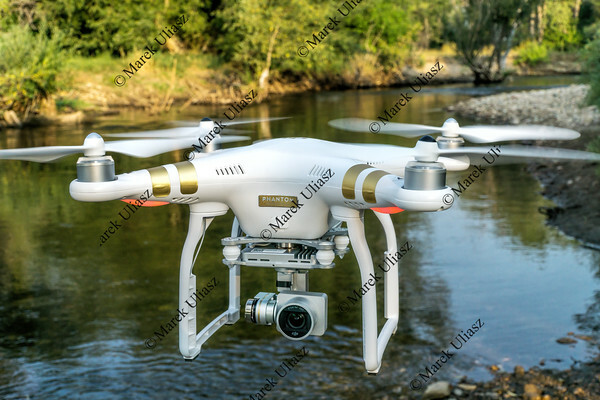 FORT COLLINS, CO, USA, AUGUST 29, 2015: Airborne radio controlled Phantom 3 quadcopter drone flying with a camera over the Poudre RIver.